Like Ali, you can easily lost your notes such as accidentally deleted Notes app on iPhone, a failed iOS 12 system upgrade, a virus attack to your phone, etc. No matter how your notes disappeared, the primary thing is that you know the ways to recover lost or deleted notes from iPhone 6, 6s (Plus), then you'll not be upset. Launch the Notes app on your iPhone 6/6s. Find the "Recently Deleted" folder under the "Folders" option. Next tap the "Edit" button on the upper right corner, and then select the deleted notes you want to recover. Afterwards, just tap the "Move to..." option at the bottom left corner and choose the folder your recoverable notes will be moved to. Then your deleted notes are restored to your iPhone successfully. If you didn't find your deleted notes in the "Recently Deleted" folder, or your notes lost becuase of other reasons like system crash, water damaged, stuck iPhone, and then you need a third-party professional iOS data recovery tool to help you. 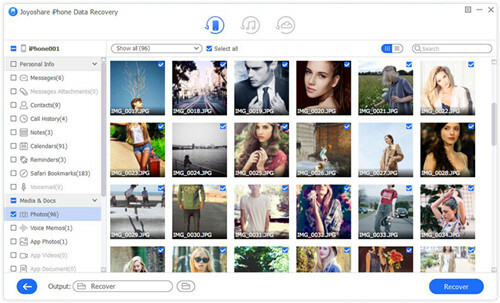 Here Joyoshare iPhone Data Recovery is highly recommended. 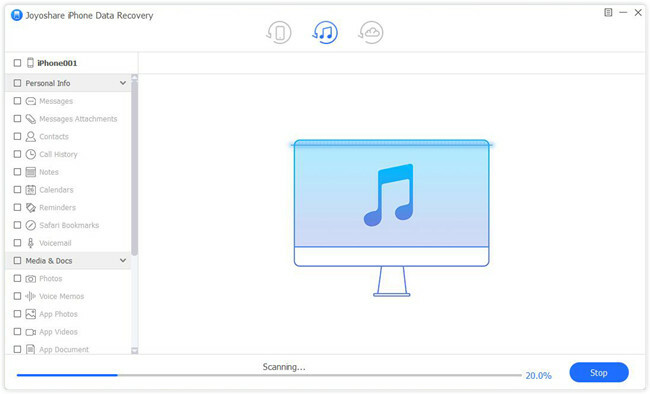 Joyoshare iPhone Data Recovery is a smart and trustworthy data recovery app to restore lost or deleted notes on iPhone, iPod and iPad even if you didn't maintain a backup. 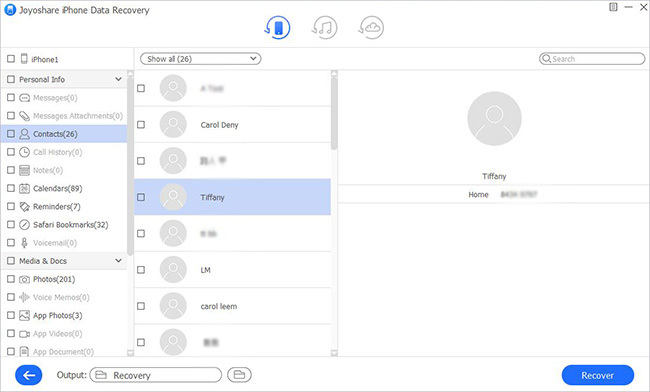 Besides notes, it can also salvage up to 20+ types of lost data including contacts, voicemails, photos, videos, WhatsApp/Viber/Kik messages, etc. 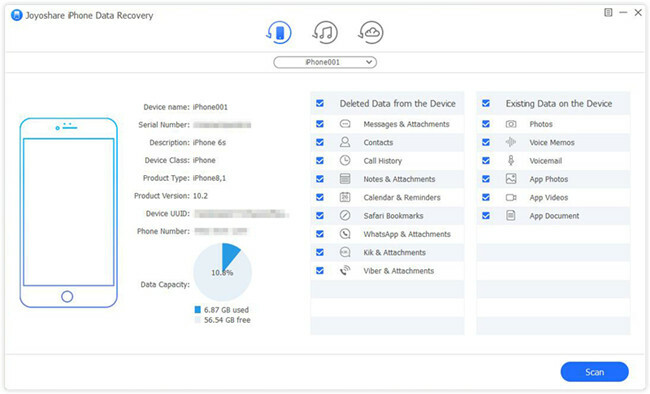 Also, you can preview the lost data before recovery and decide to select all or some of the important ones. 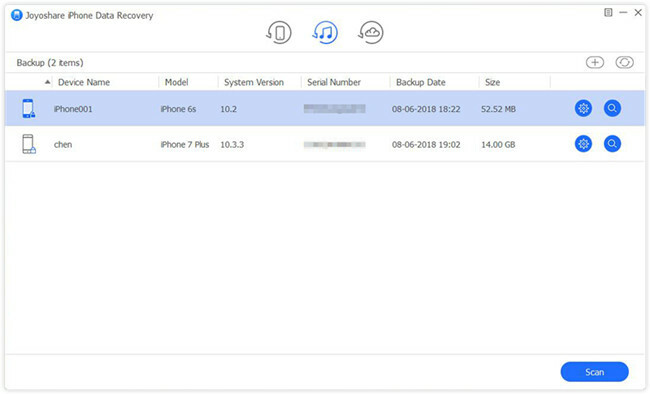 Next we will show you the instruction on how to recover deleted notes on iPhone 6 without backup with the help of Joyoshare iPhone Data Recovery step by step. Joyoshare app supports both Windows and Mac systems, and here we take Windows version as an example. 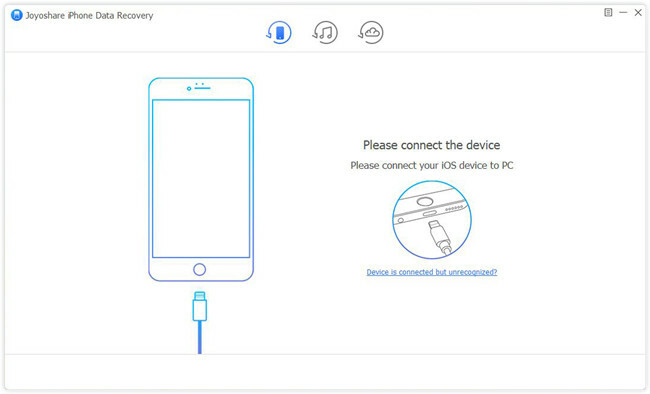 After downloaded Joyoshare iPhone Data Recovery on the computer, you can simply launch it. Then use a USB cable to connect your iPhone to the computer. Joyoshare will automatically recognize your device. When Joyoshare detected your iPhone successfully, it will show you the interface of "Recover from iDevice" mode. Now choose the data type you want to recover. You can tick all or just tick the "Notes & Attachments" box only. Then press the "Scan" button to let Joyoshare scan lost notes from your iPhone. Wait a minute until the scanning process is completed. Then all the recoverable notes can be previewed and recovered selectively. After that, you can click the "Recover" button to export and save them onto the local folder of your PC. First, run Joyoshare app on your computer and then switch to the "Recover from iTunes" mode from the top menu bar. All your iTunes backup files will be detected. Select one iTunes backup that may contain your lost notes, and then hit Gear icon to choose the data type you'd like to recover, such as "Notes & Attachments". Then click the "Scan" button to start to scan iPhone notes from the backup file. When the scanning process ends, you'll see all scanned notes in the category of "Notes". Preview to pick the ones you desire and then press the "Recover" button to retrieve all selected notes from iTunes backup instantly. 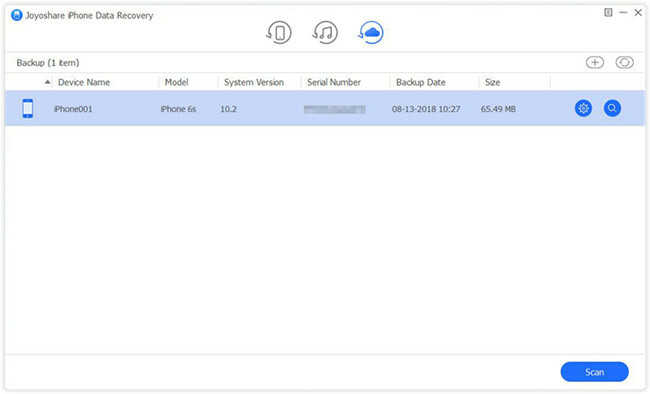 Alternatively, if you have iCloud backup, you can also use Joyoshare iPhone Data Recovery to recover deleted or lost notes on iPhone 6/6s (Plus) from an iCloud backup file. Now follow the simple guide below to learn how to do it. 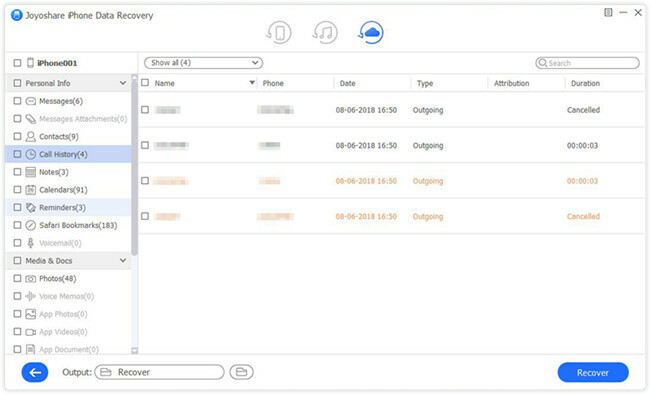 Launch Joyoshare iPhone Data Recovery first and this time move to the "Recover from iCloud" mode. 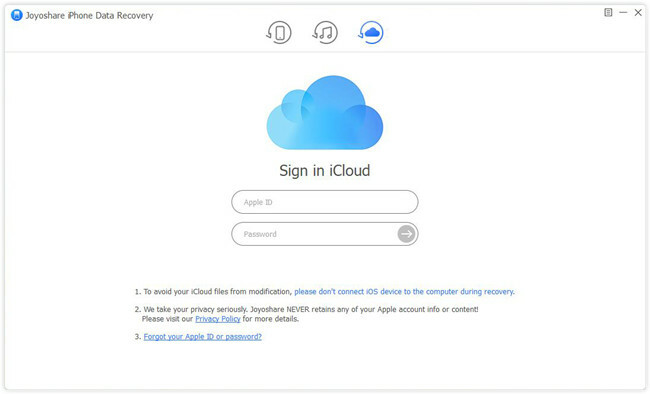 Log into your iCloud account after entering Apple ID and passcode. Once you entered iCloud, all the iCloud backup files will be listed there. Next choose the most relevant one and hit the "Download" button to extract all files from iCloud backup. Then select the data types for scanning like "Notes & Attachments" and click the "Scan" button to begin to scan the lost notes from backup. Wait until the scanning is done. Then choose the "Notes" option on the left column, and preview the lost notes you may need. Next press the "Recover" button and let Joyoshare bring all these disappeared iPhone notes back to your computer.